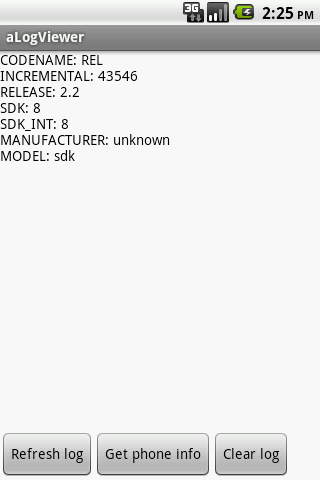 I wrote aLogViewer as I realized that I, after a very unfortunately update of my HP41 simulator a41 - both for the users and the apps rating, need users to do a little testing prior to releasing new versions on Market. As I can't expect users to be developers I needed an easy method for users to grab the log and hopefully only the interesting part of the log. 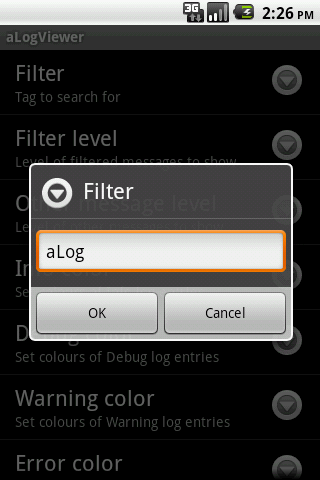 Using aLogViewer allows you to add two filter to the log. One where you specify a tag to filter for and the level of messages to let through and a level of which other messages are let through. 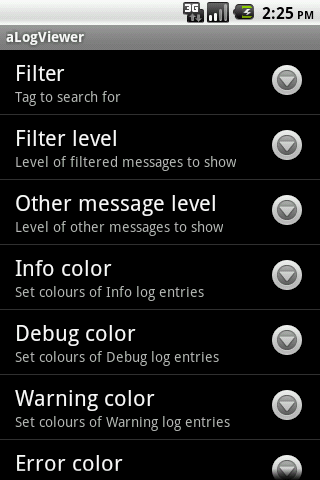 where l1 is the level of tag you are examining and l2 is the level of the other messages you want included in the log listing. The first version was released on Android Market on November 14 2011. 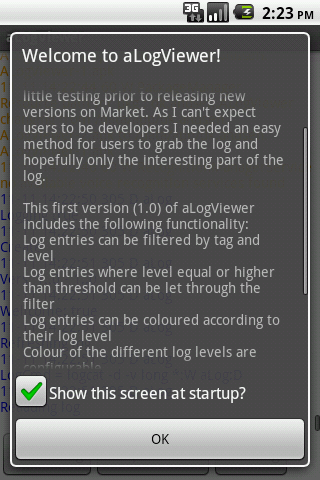 Log view are now updated automatic after a "Clear log"
Currently aLogViewer is translated to English and Danish (other translations are welcome). 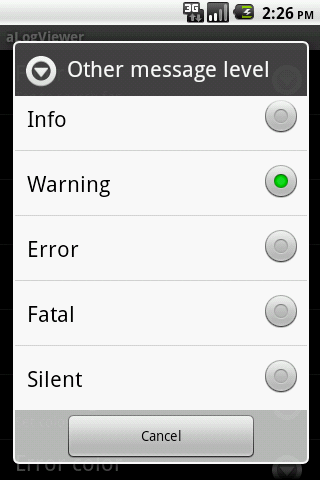 In line 17 change "FieldWork" to log tag for your app and change the email in line 19 to your own. 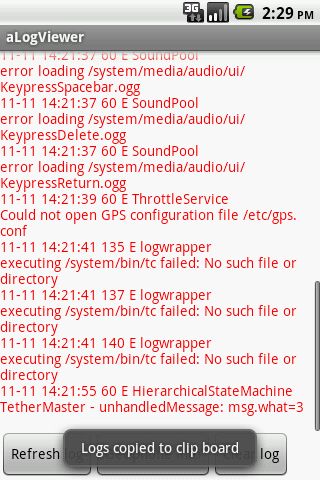 The following screen dumps shows what is possible with the aLogViewer. Click on a image to see it in full size. 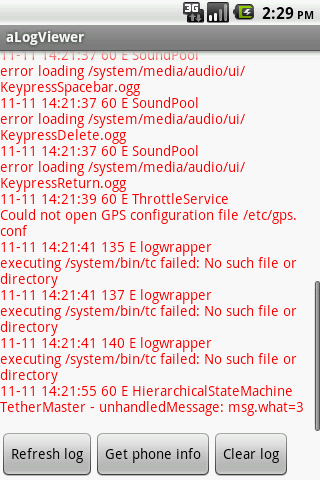 Any wishes for coming versions of aLogViewer? Drop me a mail!